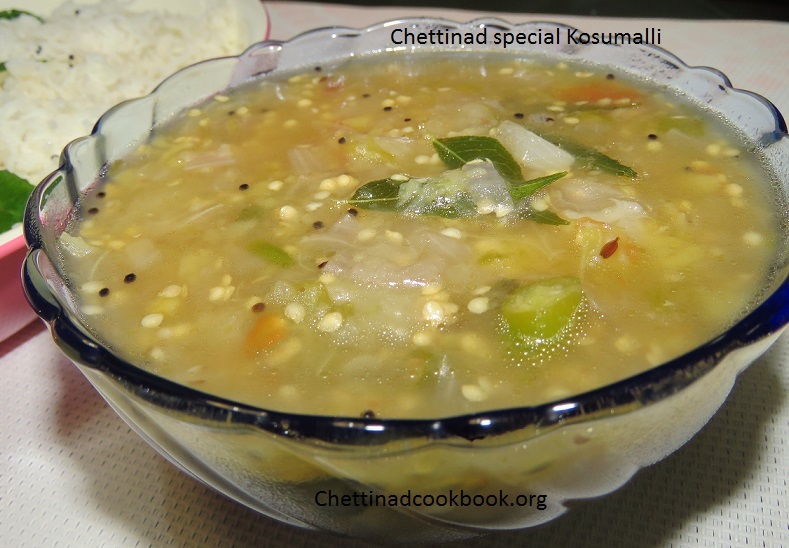 Chettinad Special Kosumalli, This side is served with Idiyappam, Idly and dosa. Kosumalli has a unique taste from Chettinad, the taste will be neither spicy nor bland. 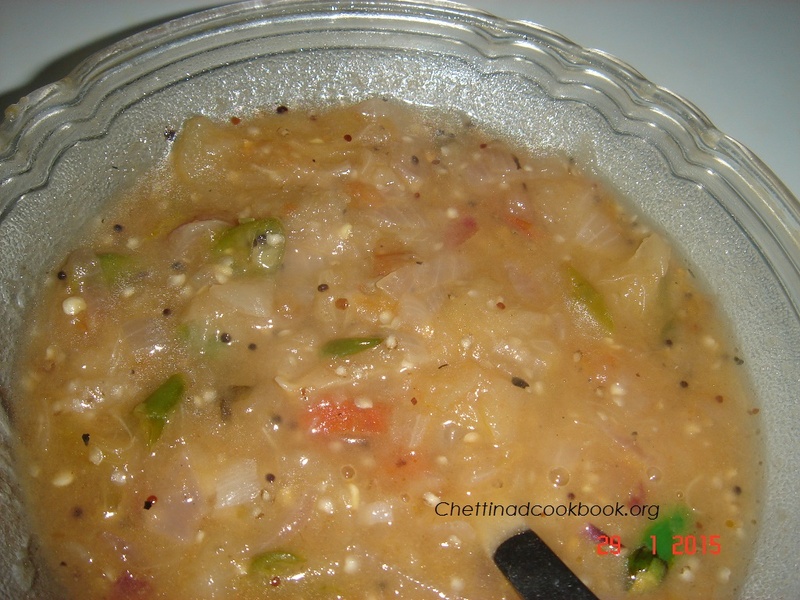 Main ingredient Brinjal can be pressure cooked or broiled to make this dish. 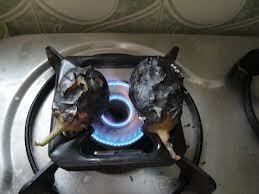 Comparatively broiled (cook on the direct flame) brinjal has more aromatic. 1. Brinjal-4 Broil (smoked) it on stove in medium flame when the skin starts burning black in colour on all sides switch of flame remove the burnt skin over it, boil Potato, peel skin. smash them. The flavour will be nice when you broil it. Cut the brinjal and potato into 2 pieces each and pressure cook for 8 minutes. After the pressure goes open the cooker and peel the skin of both brinjal and potato. smash them. 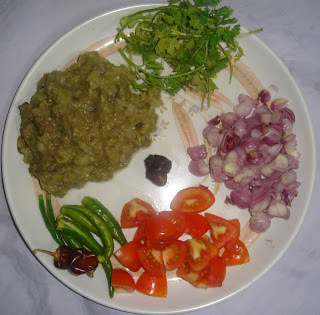 2,Take 3 cups of water add salt and tamarind dissolve and filter it add this water to the smashed brinjal and potato. 4. Pour the Brinjal Potato smashed mix in to it When the mixture starts boiling switch off the stove. It need not to boil too much. 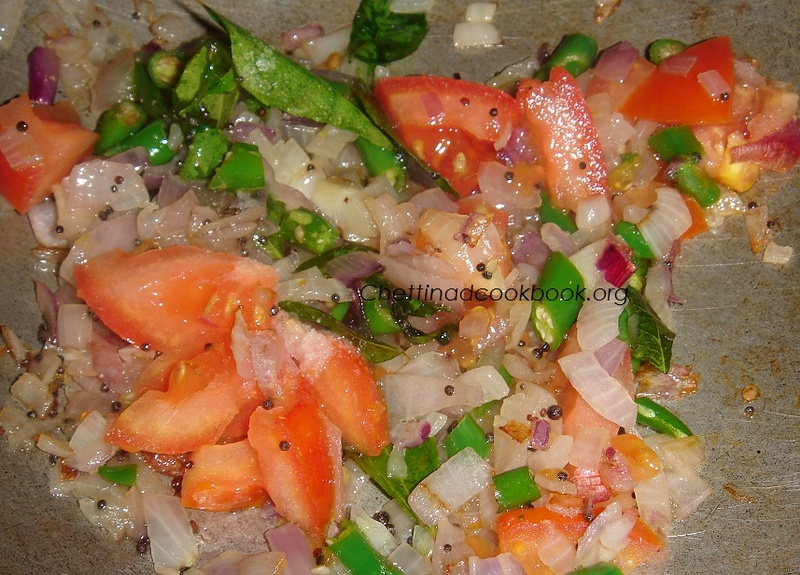 Before serving add the coriander leaves.